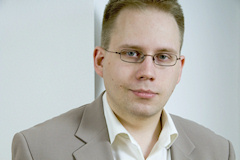 Seb Lahtinen is very active in the UK internet scene and amongst other things runs the LONAP peering exchange used by many of the country’s ISPs and hosting companies. Seb is also a pal and is standing for re-election as non-executive director of Nominet, the UK’s Tier 1 registry for .uk domain names and safe pair of hands for what is one of our critical strategic infrastructures. What made you originally want to get involved with Nominet? Around ten years ago, there was a policy change WHOIS and displaying of addresses which sparked my attention. I was concerned that individuals who registered domains for their personal use or for small clubs, etc. would find their privacy would be affected. Back then we didn’t have the range of WHOIS privacy services that exist these days. This prompted me to get more involved in the policy process at Nominet, and eventually joining the Policy Advisory Board on which I served four years. I really enjoyed being able to give something back to the community that has given me so much in terms of opportunities to run a business. After four years on the PAB, I stepped down to encourage new participants, but over the course of the following months, decided to stand in the board elections. What has been your biggest challenge at Nominet? Before I joined the board, Nominet went through a tough time in terms of member engagement over proposed governance changes and soon after there were significant concerns about potential regulation affecting the domain community, including Nominet. The changes since made to the constitution of the company and the composition of the board have been helpful in not only helping us to take the company to the next level by bringing in outside talent and experience to complement those of us who were around the table, but also to demonstrate to government and the wider community that Nominet was a responsible actor in the modern Internet space. What do you think will be the biggest challenge in the years ahead? The new gTLDs are going to change the landscape for domain names and present unique challenges and opportunities for Nominet and our registrar community. We have been talking about this for quite a while now but the application window is coming to an end and the challenge is near. We provide a high quality service so we’re in a great place to provide some new services but it also means we’ll be competing against more extensions on our home turf. Our future will depend very much on our ability to drive the agenda in terms of security, stability and innovation in the registry space. This change in landscape also means we need to strengthen our relationship with registrars which has been and will continue to be our route to market. We’ve taken many steps in terms of standardising processes to make it easier for registrars to interact with Nominet, but we’ve still go some way to go in terms of helping registrars enhance the services they offer, adding value to their customers. Voting for the two seats available on the Nominet board is currently open and Nominet members have been sent details of how to vote. If you haven’t received your voting pack, give Nominet a bell on 01865 33 22 11. The voting finishes on 16th May.